I deal with a lot of couples where one spouse has retired well in advance of the other and has established a routine or habits they are comfortable with and enjoy. The working spouse is often totally engrossed in their career or business with little else in the way of interests or hobbies. When they do eventually retire they can not only struggle to make the most of the free time, but they can also destroy the lifestyle their parter has come to enjoy. This letter printed in Newsweek in 2004 sums it up better than I ever could and should be a warning to you to ensure your spouse or partner regardless of gender, has interests that extend beyond their working life. My worst nightmare has become reality. My husband retired. As the CEO of his own software company, he used to make important decisions daily. Now he decides when to take a nap and for how long. He does not play golf, tennis or bridge, which means he is at home for what seems like 48 hours a day. That’s a lot of togetherness. Much has changed since he stopped working. My husband now defines “sleeping in” as staying in bed until 6 a.m. He often walks in the morning for exercise but says he can’t walk if he gets up late. Late is 5:30. His morning routine is to take out the dog, plug in the coffee and await the morning paper. (And it had better not be late!) When the paper finally arrives, his favorite section is the obits. He reads each and every one–often aloud–and becomes angry if the deceased’s age is not listed. I’d like to work on my crossword puzzle in peace. When I bring this to his attention, he stops briefly–but he soon finds another article that must be shared. Some retirement couples enjoy this time of life together. Usually these are couples who are not dependent on their spouse for their happiness and well-being. My husband is not one of these individuals. Many wives I’ve spoken to identify with my experience and are happy to know that they’re not alone. One friend told me that when her husband retired, he grew a strip of Velcro on his side and attached himself to her. They were married 43 years and she hinted they may not make it to 44. Another woman said her husband not only takes her to the beauty shop, but goes in with her and waits! Another said her husband follows her everywhere but to the bathroom… and that’s only because she locks the bathroom door. When I leave the house, my husband asks: “Where are you going?” followed by “When will you be back?” Even when I’m at home he needs to know where I am every moment. “Where’s Jan?” he asks the dog. This is bad enough, but at least he hasn’t Velcroed himself to me–yet. I often see retired couples shopping together in the grocery store. Usually they are arguing. I hate it when my husband goes shopping with me. He takes charge of the cart and disappears. With my arms full of cans, I have to search the aisles until I locate him and the cart, which is now loaded with strange-smelling cheeses, high-fat snacks and greasy sausages–none of which was on the shopping list. Putting up with annoying habits is easier when hubby is at work all day and at home only in the evening and on weekends. But little annoying habits become big annoying habits when done on a daily basis. Hearing my husband yell and curse at the TV during the evening news was bad enough when he was working, and it was just once a day. Now he has all day to get riled up watching Fox News. Sometimes leaving the house isn’t even a satisfying reprieve. When I went out of town for a week and put him in charge of the house and animals, I returned to have my parrot greet me with a mouthful of expletives and deep-bellied belches. It wasn’t hard to figure out what had been going on in my absence. Not that my husband has any problem acting out while I’m around. He recently noticed that our cat had been climbing the palm trees, causing their leaves to bend. His solution? Buy a huge roll of barbed wire and wrap the trunks. After wrapping 10 palms, he looked like he had been in a fight with a tiger and the house took on the appearance of a high-security prison. Neighbors stopped midstride while on their daily walks to stare. I stayed out of sight. In the meantime, the cat learned to negotiate the barbed wire and climbed the palms anyway. It is now another hot, dry summer, and the leaves on our trees are starting to fall. Yesterday my husband decided to take the dog out for some fresh air. They stood in the driveway while he counted the leaves falling from the ash tree. Aloud. Another meaningful retirement activity. I think my husband enjoys being at home with me. I am the one with the problem. I am a person who needs a lot of “alone time,” and I get crazy when someone is following me around or wanting to know my every move. My husband is full of questions and comments when I am on the phone, working on my computer or taking time out to read. It is his way of telling me he wants to be included, wanted and needed. I love that he cares–but he still drives me up the wall. I receive a lot of catalogs. In one there is a pillow advertised that says grow old with me. the best is yet to be. Another catalog has a different pillow. It reads screw the golden years. Right now it’s a tossup as to which pillow will best describe our retirement years together. Just don’t ask me while I’m working on my crossword puzzle. Do you get the point I am trying to get across? Retirement takes as much planning as working years. You still have to fill all those waking hours previously filled with commuting and work. If you don’t plan ahead and ensure your partner does too then you could end up destroying both of your retirements and often your relationship. It is no surprise that their has been a rise in what is term “grey divorce as couples find themselves with an empty nest and only each other for company. We start planning the transition to retirement with clients 5-10 years out to ensure they have covered off all facets of their retirement needs. That’s what a professional planner covers rather than just an investment advisor. I hope this guidance has been helpful and please take the time to comment. Feedback always appreciated. Please reblog, retweet, like on Facebook etc to make sure we get the news out there. As always please contact me if you want to look at your own options. We have offices in Castle Hill and Windsor but can meet clients anywhere in Sydney or via Skype. Many clients believe delaying their retirement is a solution to inadequate savings, but they often find themselves out of the workforce sooner than they’d planned. 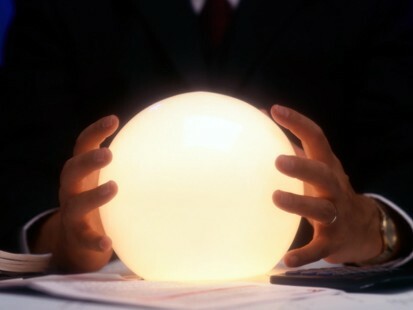 None of us has that crystal ball! It is likely that the shortfall in retirement savings here in Australia stems in part from our “she’ll be right” attitude towards life, which leads us to believe that we do not need to start saving early and that somehow it will all work out ok. Delaying retirement can be a powerful boost to your superannuation nest-egg. But relying on the ability to work for a few extra years to stretch retirement savings out a little longer is fraught with risk and does not reflect personal and family health or other issues that may arise. As an example I have had some clients forced to retire to look after their grandchildren due to the illness of the parent. If you played with any retirement planning calculator or have spoken to an adviser, the “work a little longer” solution would have been investigated and many put it forward as the solution to the GFC “dip” (read plunge) in savings. The concept is easy to grasp: By working longer then you originally planned, you get more years of concessionally taxed growth in your superannuation accounts especially if you used a Transition to Retirement Pension from 55 or 60. You can also continue to salary sacrifice and make non-concessional contributions while getting the benefit of the Senior And Pensioners Tax Offset (SAPTO) that I mentioned a few weeks ago here. The idea is the longer you work and save and more you get into a superannuation income stream then your capital will last longer and you may also benefit from more Age Pension when required. Back to reality with a jolt! But there is a huge disconnect between workers’ expectations and retirement reality. Over half of the retirees surveyed in a US study last year said they left the workforce earlier than planned, and just 8% of them said that positive factors — such as the ability to afford early retirement — prompted the move. For the vast majority of early retirees, negative circumstances, such as personal or spouse health problems or company downsizing played a role. 40% of Australians will suffer a critical illness before age 65 (Cologne Life Re study). They will most likely survive but their retirement funding will be devastated. The 2015 Productivity Commission report on post-retirement shows that about 40 per cent of Australians who retire between the age of 60 and 64 do so involuntarily, either because of their own or a family member’s ill health, or redundancy. For those aged between 65 and 69 who retire involuntarily is not that different, while for younger age groups most people who retire do so involuntarily. Clearly, workers relying on delayed retirement are rolling the dice. Yet, most people discount the future so much that they’re willing to take that gamble. May hope that an inheritance will save the day but do not realise that age care costs and parents living longer may eat heavily into any expected inheritance. Strangely the people most likely to plan on working a few more years to boost their retirement security may actually have the least ability to postpone their retirement. People who suffer an illness or injury are more likely than those in good health to have pushed back their expected retirement date in recent years, according to a report from consulting firm Towers Watson. Yet health problems or disabilities were cited by more than half of retirees forced to retire earlier than planned. As psychologists are quick to point out, we all have that inner voice that loves to procrastinate who loves to put off till tomorrow what we should do today – beause its “all too hard to get your head around”. Saving more today is a sure thing, and extra years in the workforce are anything but. If you know you don’t have enough, you should start saving more today, because that’s by far the less risky alternative. Let’s look at an example using the Retirement Planner on the MoneySmart.gov.au site for a 55-year-old pre-retiree with just $30K in superannuation. If she earns $80,000, makes $17,500 annual salary sacrifice contributions (in addition to Employers SGC contributions of 9.5%) and earns a 7.5% return pre retirement and 6.5% after, she could be looking at an Income in retirement of $32,143 by age 67 including the Age Pension. If she’s forced to retire at that point, she’s still in better shape than most Australian’s. And if she can continue working, she counld improve on this lifestyle with a better retirement income. So I got a question about continuing to Super Split to a spouse who is over 55 and already using a Transition to retirement Pension but not fully retired. If a client is over 55 with a TRIS/TTRAP Pension and an Accumulation Account as they are still working or not fully retired, can they continue to receive Super Splits from their spouse? “Which members are eligible to apply? The super contributions splitting provisions operate independently from the pension payment rules. So as long as each set of provisions are complied with, there shouldn’t be an issue. Ensuring a member can do rollbacks, consolidations and recommencements to maximise the amount in pension phase. Make sure to get individual advice on your personal circumstances and be aware that the Super split amount will count towards the receiving spouse’s concession caps. I hope this guidance has been helpful and please take the time to comment. Feedback always appreciated. Click here to arrange a meeting/call back or contact our Castle Hill or Windsor offices for an appointment to discuss your needs. Having set up over 120 pensions and taken over many other clients we know that having the right documentation and following the guidelines set down for accessing pensions is essential to remain compliant and access tax exempt status. Here are some of the common mistakes we see on documentation of pensions that clients bring to us from other sources. You must be over the preservation age to commence a pension. This means that you must have reached the preservation age at the time the pension documents say the pension starts. A common mistake is to assume this means at the time the first pension payment is made, which is wrong. For example, you may be turning which is your preservation age on the 1st of October and think that you can start the pension on the 1st of July but not pay any pension payments until after the 1st of October and get the full year of tax exempt income. This is not possible; in order to start the pension you must have reached the preservation age at the 1st of October. the income for that year will be split pro-rata across the period in accumulation phase pre- 1st of October and in pension phase after that date. SMSF Advisors, Accountants and trustees must make sure the assets of the fund are valued at market rates before the pension is calculated. Further they should ensure the assets are revalued at the end of financial year. This is important in determining the level of pension in the coming year is correct and reflects the true value of the assets in the fund. There used to be some leeway especially with property but auditors now seem to be implementing a more rigorous checking system to ensure property values are updated annually. Timely documentation is essential to ensure that the pension actually commences when you want it to commence. Typically, a pension may start well before an actual pension payment is made as often the financials for the SMSF are not completed yet. Often the pension start date will be 1st July and the actual pension payment may be made quarterly or half-yearly later in the year. The pension kit should reflect this and include at a bare minimum such things as a pension request form from the member to the trustee(s), minutes of the trustee acknowledging and agreeing to the request, notification from the trustee to the member with a draft pension agreement stating the type of pension, start date, frequency of payments and if a reversionary pension is to be applied. Importantly, it should also include a Product Disclosure Statement which is a legal requirement. The initial pension documentation does not have to have the exact figure of the pension amount but should refer to the fact that this figure will be clarified once the financials are completed. We update the initial kit with a set of minutes after the financials are provided which shows the exact amount in the pension and the relevant minimum and maximums or selected pension payment for that year and the Tax free component of the pension. Your SMSF advisor of accountant should be able to help with this documentation. Pension payments are only tax-free if you met the conditions required to take advantage of the Tax Exempt Pension Income within the fund (0% tax on the income from the assets supporting the pension). The minimum pension amount must be paid within the financial year. This means that the pension payment must physically leave the SMSF bank account by the 30th June. That is a benefit is paid when the member accepts the money, banks the cheque which is subsequently honoured or receives a credit by way of electronic transfer from the SMSF. As an example, if at the 30th June you have made $6,000 worth of pension payments but your minimum pension payment for the year is $10,000, the $4,000 cannot be carried over and paid at a later date. In this instance the fund has failed to meet its pension requirements and the pension would be invalid and the entire pension account subject to tax for the full year. During the financial year all pensions paid must be paid in “cash”;. That is a benefit is cashed when the member accepts the money, banks the cheque which is subsequently honoured or receives a credit by way of electronic transfer from the SMSF. Therefore if a member receives a cheque dated 30/6 and banks it after 30/6, this amount cannot be classed as “cash” for the year ending 30/6 on the cheque. 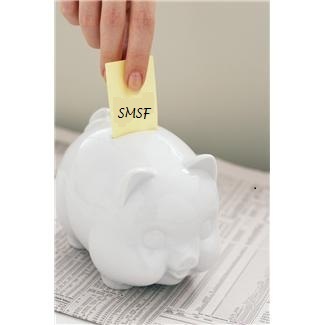 Also a member cannot receive a pension via an in-species transfer from the SMSF to the member. Our process is to remind clients in April/May each year by advising them in writing the minimum amount payable by the 30th June. We ask clients to confirm they have taken these payments by ticking a questionnaire and returning it to us. If you are receiving a Transition to Retirement Pension the advice also indicates the maximum amount of pension and requests confirmation that this has not been exceeded. Some strategies are in place for correcting errors before the 30th of June but once that clock ticks over to 1st of July there is little that can be done to amend strategies. On commencing a pension the Tax Free and Taxable Components need to be calculated. This percentage split remains the same for the life of the pension. The tax free percentage is calculated by dividing the Tax Free Components by the total starting balance of the pension. The Tax free component should be shown in your Pension Kit (once financials completed) and then reaffirmed in your members account statement annually. Why is this important if Pension payments are tax free? The tax free component does not refer to the annual pension payments. The Tax Free Component percentage becomes relevant upon death of the last member without a reversionary beneficiary and can make significant difference to the tax paid by your dependents (particular adult children). Good pension planning may see more than one pension being set up for a member with each Pension allocated towards the most tax efficient recipient beneficiary. i.e. spouse may receive pension with low tax free % while adult children receive the pension with a higher Tax free %. Some smaller accountants or those who do not have the relevant software may not be tracking your Tax Free component and this may cause a problem later when your remainder pension needs to be distributed. Check your last statement and If in any doubt you should discuss with your accountant or SMSF Advisor. A member’s pension account cannot receive new contributions during the year. You can make contributions but these contributions must be credited to a separate accumulation account. A SMSF a member may have more than one pension account but cannot have more than one accumulation account. As an aside this is necessary for a Transition to Retirement Strategy combined with Salary Sacrifice to work properly. You can rollback (stop) a pension and add the accumulation account balance and then start a new pension. We term this as RCR (Rollback, Consolidation and Recommencement). Before stopping a pension you must ensure that you first pay the minimum pension to keep the fund tax exempt for the year to that date. For this reason we often rollback the pension at the end of the financial year and recommence on 01st July. If you have a pension account and accumulation account during the year (i.e you have made contributions) and the fund’s assets have not been segregated you will need to obtain an actuarial certificate to identify the tax exempt percentage of the investment income. The Actuarial Certificates are normally outsourced by the Accountant to an Actuary but you should ensure that they do take responsibility for arranging it for you annually. As you can see these pension rules can be a minefield to negotiate and advice from a SMSF Specialist Advisor is highly recommended. Through Verante’s SMSF Coaching Service we remind our clients that when it comes to “their money” that there is no such thing as a silly question. With pensions it is essential to get it right up front and double-check before June 30th! I hope these thoughts have been helpful and please take the time to comment if you know of other common mistakes as I know this is not an exhaustive list. Would love some feedback as well. Divorce in your 50’s or 60’s with an SMSF and/or Small Business to deal with? Can a Small Business or SMSF survive? Mel Gibson & Robyn Moore separated after being married for nearly 3 decades, Brad Pitt and Angelina Jolie for just 12 years. Greg Norman and his first wife Laura were together for 25 years and now he is on to his 3rd marriage! These long-married celebrity couples are far from alone and throughout Australian society this is becoming a common occurrence. Fewer married couples are making it to their 25th, 30th and 35th wedding anniversaries—even as life expectancies have increased. As years go by, kids leave home, business demands grow and they get close to retirement age, where they will have to be near one another more, one of them usually realises they don’t want to live the rest of their life in this manner or they want to seek out new experiences like international travel, a tree change or seachange or just want to concentrate on themselves or their business. A long-married couple that has done well financially must figure out how to divide investments, superannuation and other retirement savings, investment properties and businesses started by one spouse during the marriage. They must contend with a crazy quilt of regulations—some federal, some state and some set out by superannuation legislation. Pulling apart all the entangled arrangements woven into a web over 20 or 30 years is difficult and stressful. But dividing a nest egg in a way that allows both spouses to retire without worry is crucial when there is little work time left to make up any shortfall. 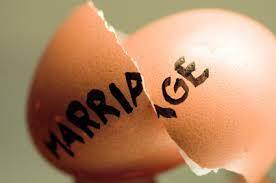 Many of my clients are in their 50s and are getting divorced after two or three decades. But the strategy for one client can be totally different for another who is different only in age. The plan or strategy for a woman in her late 50’s who has not been in the work force for 30 years is totally different to the one for woman in her early forties with a recent employment history. For older women negotiating a financial settlement as part of separation or divorce, that money has to last the rest of their lives. Even if they are employed, there’s usually a huge difference between the husband and wife’s remuneration packages. The house. This property holds memories of children, is close to friends and represents a lifetime of effort and a haven of comfort during a stressful time. If you owned your home you felt safer than when renting. As a result many wives seek to have the home included in their part of a settlement not realizing that they will fall into that Asset Rich – Cash Poor Trap. Rates and upkeep still need to be met while the remaining assets received in the settlement then need to work even harder to meet living costs. The Superannuation Nest Egg. A couple’s biggest asset, aside from their house, is often the superannuation accounts and the majority of the time one account is far larger than the other. Superannuation accounts are by law in individual names, but they are still considered marital property if they were earned or acquired during the marriage. Dividing it fairly could mean the difference for a non working spouse between a secure retirement and a hand-to-mouth existence. Many people think because they have a family SMSF and all the money is usually pooled together for investments, that all the money is owned jointly between the husband and wife. Time to refer back to the annual statements and look at the members reports which will reflect the true ownership of the funds as it is broken down between the members. An SMSF with just a husband and wife members who are getting divorced will almost certainly involve one of the members moving to another fund. This may involve moving the current market value of the exiting member’s account balance as well as an agreed amount of their former spouse’s account balance. These are two separate amounts and must be treated as such. These payments require totally different reporting requirements and also probably give rise to different income tax outcomes for the SMSF fund. It is important to ensure that these super fund tax issues are sorted out with complete accuracy so that one member does not unfairly pay proportionately more tax than the other member. The latest Family Law provisions allow the parties to enter into an agreement at the time of marriage breakdown specifying how the superannuation interest is to be divided. However, no actual splitting occurs until a member’s benefit is paid. The Superannuation Industry Supervision Regulations 1994 allows the benefit in most superannuation funds to be split at the time of the divorce. Therefore, two separate interests are in effect created – one for the member spouse, and one for the non-member spouse. A division of a superannuation interest may be initiated in one of three ways. The parties may prepare a Superannuation Agreement, which they lodge with the trustee (together with proof of marriage breakdown or separation). Parties will be able to make a ‘flagging’ agreement. It prevents the trustee from paying out any benefit to the member spouse without first asking the parties how they wish to split the benefit. Parties would need to enter into a ‘flag lifting agreement’ at a future date to terminate the ‘flagging agreement’ and provide for the division of the superannuation split. This would be used where the parties are close to retirement and would rather wait and see the exact benefit before determining how to split it. Specified benefit components will be split on a proportionate basis to the overall split. Any capital gains or losses that arise from the creation or foregoing of rights when spouses enter into binding superannuation agreements, or where an agreement comes to an end, will be disregarded. When dividing up the assets in an SMSF we try to have an agreement to ensure that the spouse with lower income from employment receives the highest proportion of their member benefits as liquid assets or blue chip shares rather than property or illiquid investments. Often we can look at setting up Transition to Retirement Pensions to access tax effective cash flow from 55 onwards. Mid- to late-life divorce can cripple a business started during the marriage and owned by one spouse, because the other spouse is generally entitled to a share. Tax planning measures taken during good times to be able to distribute earnings across the family may now result in the business being torn apart as each spouse seeks to extract their equity in the business. Without careful planning, the business might have to be sold to comply with those terms or the business principal may have to take on excessive debt in their late 50’s to payout the former spouse. We recommend that couples with a small business—especially those with children—enter into a “post-nuptial” binding financial agreement that spells out what happens to the business in the event of death and divorce. Such agreements, which need to be prepared by a solicitor well versed in Business and Family Law, are recognized in most states, are increasingly being used in estate planning, particularly for people in second marriages. See the maximum liquidity and flexibility in dividing assets especially from an SMSF where there is flexibility. Serious financial consideration should be made before fighting to hold on to the family home as it could become a burden you cannot afford. Small Business owners must plan in advance for the handling of divorce or death of a business partner. You need an Accountant, Financial Adviser and Lawyer used to dealing with Business as well as Family Law. I hope this is useful information for you and we always welcome new client enquiries. Would love some feedback.